Limited edition of this excellent first slicing scissor. The DMI Professional range features hollow ground, razor-edged blades made from top quality Japanese steel and at a great price that's perfect for students or anyone looking for a good quality budget scissor. They're beautifully weighted and finely balanced and come with offset crane handles, that let you cut with a lower elbow position. 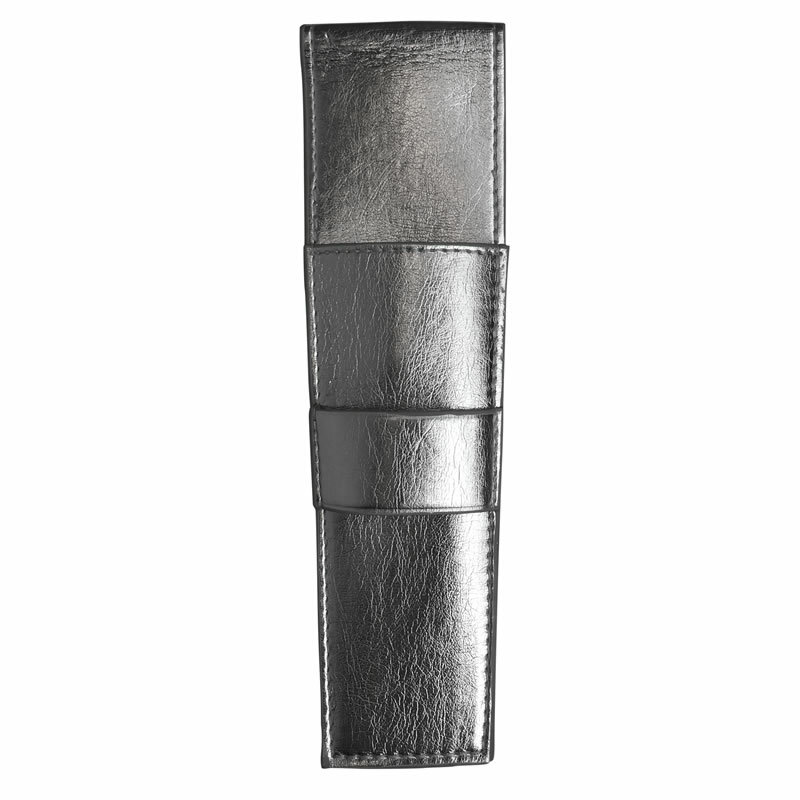 This helps to relieve the strain on your wrist and elbow and gives you a comfortable, relaxed working stance. 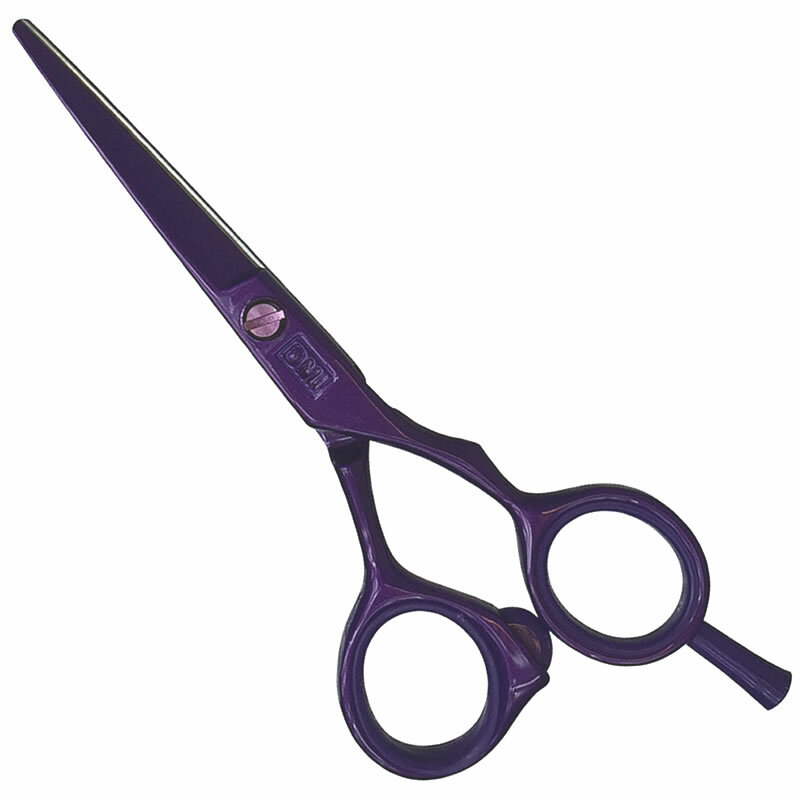 This limited edition is coated with a deep Purple colour and is supplied in a gleaming silver scissor sheath for a great look to go with its great performance. Available in 5 inches only. Reduced to clear! Last few remaining! £44.39 (inc. VAT) Why no VAT? We're a trade wholesaler and quote our prices without VAT to help our VAT-registered customers understand the true cost of a purchase. 5.5-inch, great value first thinning scissor made from top quality Japanese steel in either right- or left-handed versions and in a choice of 4 colours (Orange, Purple, Fuchsia or Black).